which were served by aerials suspended from balloons. The title of this section inadequately describes the birth pains of a technology which continues to amaze us with its new developments – from untuned spark generator/transmitters to personal cellular radio and communication with spacecraft in the deep reaches of our solar system in less than a hundred years. Who could have foreseen that billions of people around the globe would view spectacles such as the Olympics and World Cup Football, taking place in countries and cities many of the viewers had not even heard of as these events were unfolding? The conflicting claims of Marconi in the UK and Popov in the USSR as the inventors of wireless telegraphy are discussed at length by Barrett. (5) He describes the systems used by both, and after considering published information and indirect evidence and claims, concludes that Marconi ‘can be named as the inventor of radio communication’ Considering all the evidence, there can be no doubt that Marconi, in true entrepreneurial spirit, saw an opportunity for exploiting the fledgling science of wireless telegraphy when many scientists were still captivated by the novelty and the underlying science. Certainly Marconi, starting with his early experiments at the Villa Griffone in Italy in 1894 and 1895, devoted his energies to developing a workable system for the transmission of messages without wires. It is on this that his pioneering reputation is founded. 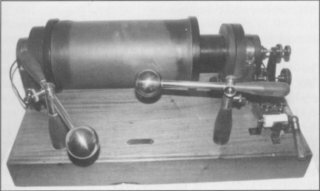 By 1850 telegraphy on land using the Cooke and Wheatstone single-needle receiver, or the Morse embossing instrument, operated over relatively long distances and had been demonstrated over lines more than 1 600 km in length. The first successful undersea cable across the English Channel was laid in September 1851. In 1855 a telegraph cable had been laid across the Black Sea to the Crimea. (7) Communications between the British Government and General Simpson, Commander of the British Forces in the Crimea, was possible by a combination of undersea and land based cables. (In fact, General Simpson appeared to consider this more of a hindrance than a help as he was continually bothered with minor queries concerning the progress of the war in the Crimea). (8) After many misadventures the first successful trans-Atlantic signals were passed between Britain and North America on 13 August 1858. The cable became unusable during September 1858 for a number of reasons, but not before the British Government had cancelled plans for two regiments to be despatched from Canada for use in India. This is said to have saved the British Government some £50 000 – no mean sum in those days. (9) By 1870 the first regular telegraph unit had been established to maintain telegraph communications for the army in the field. 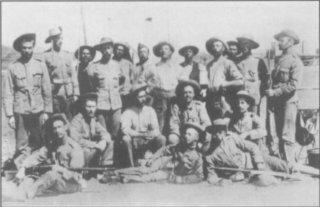 In South Africa this unit took part in several campaigns, including the Zulu War of 1879, and the First Anglo-Boer War of 1880-81. (10) However, communications between headquarters and the frontline still required that messages be conveyed by hand, or by a system of visual signalling. Against this background it is hardly surprising that there should have been keen interest in the new technology of wireless telegraphy. As early as 14 August 1894 at the British Association meeting in Oxford, the first public demonstration of the transmission of information by wireless telegraphy had been given by Oliver Lodge, Professor of Physics at Oxford. (11) It would, however, appear that Lodge failed to recognise the significance of the achievement and it was left to others, notably Marconi, to capitalise on the potential of the new technology. Robert Poole served in the electrical branch of the Royal Engineers during the Anglo-Boer War. He spent two years in the field as a telegraphist, being appointed Telegraph Master at Heidelberg in the Post Office of the newly annexed Transvaal. He served in the First World War with the rank of major. Later, as Chief Engineer of the South African Post Office, he handled the start of broadcasting in South Africa. Rosenthal’s account of the early days of wireless telegraphy in South Africa indicates that interest was more widespread than that suggested by Baker and Austin. (16) According to his research, Edward Alfred Jennings, born in London in 1872, may have discovered wireless telegraphy independently of workers in Europe and North America. At a young age he applied for a position in the Post Office of the Cape Colony. After two and a half years in Cape Town he was transferred to Port Elizabeth’s telephone exchange in 1896. This had been opened in 1882 and was the oldest exchange in South Africa. In the course of trying to improve on the old microphones using carbon granules, Jennings experimented with metal filings, which he expected would not pack together as the carbon granules did. He fabricated a microphone using a glass tube and some silver filings off a watch chain. In effect he created a coherer similar to that used by Marconi and others for the detection of the Morse radio transmissions. He observed that his experimental receiver responded when an electric doorbell was used. The filings adhered to each other and had to be tapped lightly to loosen them. Even more surprising was the discovery that electric trams passing through a cross-over caused a much louder crackle in his primitive receiver than the doorbell. He observed that this correlated with the spark caused when the trams passed through the cross-over. After he was unable to obtain an explanation for this from various ‘experts’ in the area, he built a Ruhmkorff coil to generate bigger and ‘louder’ sparks. Rosenthal describes the construction of this coil in detail. In 1898 the Marquis of Graham visited South Africa. He was acting on behalf of Lloyd’s of London, which was interested in safety at sea Experimental transmissions were made between Bird Island Lighthouse and the mainland. No doubt encouraged by these experiments, Jennings next erected his transmitter at the lighthouse on the Donkin Reserve. 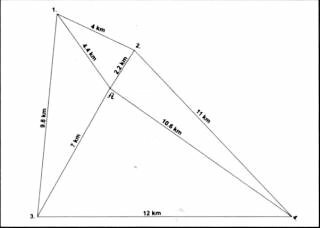 In July 1899 he achieved a distance of eight miles (13 km). 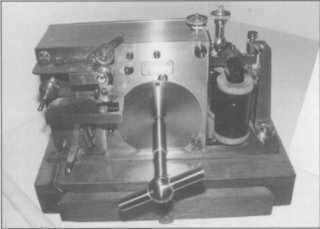 Using a strip of wirenetting about a foot (30,4 cm) wide as an aerial, the lighthouse keeper was able to drive a Morse tape machine printer with the received signal. Despite the optimism created by the experiments, further development was stymied by the extremely short-sighted opinions expressed by no less a person than John X Merriman. As late as 1899 trials were again held between Port Elizabeth and the mail steamer Gascon lying three miles (5 km) out in Algoa Bay Rosenthal, who met Jennings in the 1940s, comments that Jennings’ work was overshadowed by the events of the time. Surely Jennings must be acknowledged as one of the pioneers of this fledgling technology. In his book(17) Rosenthal also describes an experiment carried out on the Grand Parade in Cape Town in February 1899 under the supervision of Dr (later Sir) John Carruthers Beattie, who became Vice-Chancellor and Principal of the University of Cape Town. 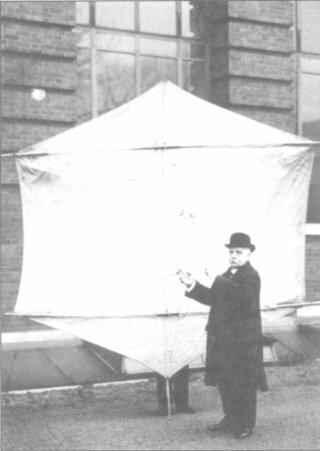 Using equipment imported from Britain, he and other notables demonstrated the use of wireless telegraphy to transmit signals over a distance of 400 feet (120 metres). The shipwreck of the Tantallon Castle on Robben Island further stimulated interest in the use of wireless telegraphy for safety at sea. An agreement was reached between the Cape Government and Lloyd’s of London to establish wireless telegraphy between Dassen Island and Robben Island, as well as between Bird Island and Port Elizabeth. It was further reported that ships of the Union-Castle Line would be equipped with this apparatus, enabling them to communicate with Dassen Island from a distance of 186 miles (300 km). This decision was to be rescinded in August of 1905. Research at the State Archives in Pretoria uncovered a rich trove of material relating to early interest in wireless telegraphy in the ZAP. 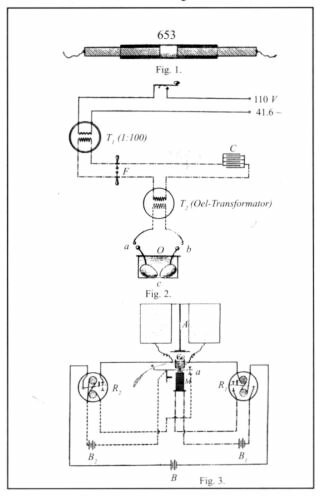 (19) The main actors in the drama that was about to unfold there in wireless telegraphy were Paul Constant Paff (Figure 2) and C K van Trotsenburg (Figure 3). Figure 3: The ZAR Telegraphy Department, 1896. Van Trotsenburg is shown seated. Paff was recruited from the Amsterdam Telegraph Department in response to a request from Paul Kruger for the services of an experienced telegraphist. He arrived in 1888. Little appears to be known of the early histury of van Trotsenburg. He played a visionary role in this early history and was at that time General Manager of Telegraphs of the ZAR. The Field Telegraph Department was established by a vote in the Volksraad in May 1890, and would form part of the ZAR Staatsartillerie. Paff’s contract lapsed at this time and he was offered and accepted a commission in the Staatsartillerie. He trained fifteen men in the skill of Morse telegraphy. 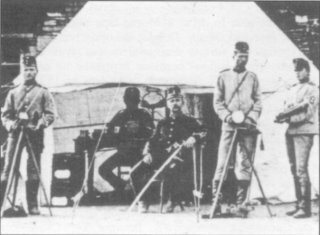 At the completion of their training, the men were able to send and receive messages in Morse by means of telegraph, heliograph, lamp, and also by means of flags. (20) Figures 4 and 5 show the Field Telegraph Company in the field. ‘On account of the aforementioned and in view of high costs, I would not recommend the laying of an underground connection between the Artillery camp and Daspoortrand, but would suggest the erection of an overhead line, to be worked with an ordinary telegraph or telephone instrument or perhaps with both. For distances of about 6 miles [9,6 km] telegraphic communications can be exchanged without wire. At present, experiments are being conducted in Furope on a large scale by Military Powers, and it appears to me that lately such improvements have been made to those instruments used therefore, that the system would probably answer well for the forts. I would suggest that I communicate with manufacturers and in case of satisfactory information being received tu order one set of instruments for trial. A certain place “A” in a valley is surrounded by hills. I wish to correspond telegraphically without wires between this place “A” and those hills as marked in the margin 1, 2, 3, 4 … Are there any difficulties[?] If so, which? If not, can you supply us with the necessary instruments complete[?] If you can supply them, please send one set (two instruments) for taking a trial, for use either between “A” and 1, or 1 & 2, etc; the most exhaustive directions for use should accompany the instruments. Of course we require the best known instruments of this class, with all the improvements which have since been introduced in the instruments of Marconi. We will be pleased to learn by return of post what you can do for us. In case you send the instruments, please send them via Durban. If the trial [is] in any way successful, we will give you a further order. Please indicate certain cablewords in order to place us in a position to give you an order by cable. A copy of this letter and the map appear in Figures 6 and 7. Of interest is the fact that van Trotsenburg appears to have been well versed in wireless telegraphy and that communication by cable to Great Britain appears to have been common practice. From journals dealing with electrotechnology at the turn of the century, discovered by the author in the State Archives,(24) and summaries of various articles also lodged in the Archives, it is certain that someone had stayed abreast of these developments in Europe. (25) Who this person was that made such a determined effort remains a matter for speculation. From the available evidence, however, there can be no doubt that the visionary van Trotsenburg fully grasped the implications and potential of wireless telegraphy. 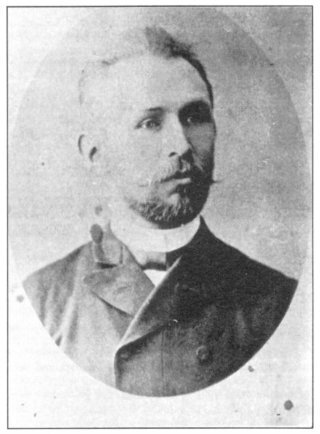 On 20 April 1898, L W J Leyds, the State Secretary of the ZAR, instructed van Trotsenburg in writing to investigate the supply of wireless telegraphy equipment. (27) Van Trotsenburg corresponded with Siemens and Halske in Germany,(28) as well as a French company in Paris, Societe Industrielle des Telephone, whose reply is dated 16 June l898(29). The French company provided a detailed quote for their equipment. From a further reply(30) of Siemens Bros in London it was clear that the Marconi company intended to maintain tight control of their equipment. Effectively the client would only be able to use the equipment under a lease arrangement, and Marconi would install and maintain the said equipment. Siemens Bros also refer to contacts with Prof Oliver Lodge on the matter. On 21 June 1898, Siemens and Halske’s South African agents made an offer to supply sufficient equipment for five installations at a total cost of £485. (31) This was signiflcantly lower than the £9 000 cost of installing a telegraph cable, referred to earlier. (1) Material to be of light weight. (2) A simple way of erecting and breaking same down, perhaps your firm already has a simple method, if not, to enable us by a simple way of construction to lower an erected pole. We should require the poles to be delivered with the instruments. Enclosed please receive the Electrical Engineer London edition, No 14,1898, page 420. In case we do not require to use the complete length of the pole and as in such case I would not like to use the pole higher than necessary, I trust that the pole will be constructed in such a way to enable us to do away with certain parts thereof if necessary. ‘We have the honour to acknowledge receipt of your letter 1444/98 of 24th inst and thank you for your order contained therein, which we have cabled to Berlin for immediate execution. With regard to the poles we hope to be able to give you further information shortly. One detects a note of urgency in the flurry of telegraphic correspondence which followed with regard to the poles that were required to support the wire for the antenna. Events were by then moving rapidly and the instruments arrived in South Africa too late for use by the ZAR. There is reference to wireless telegraphy equipment being shipped to Natal on board the Dunottar Castle. (35) However, Captain J N C Kennedy, an officer in the British Corps of Engineers, records that the six sets of equipment destined for the ZAR were traced through customs records. (36) This equipment had been shipped on no less than five ships. Details of the fate of the wireless telegraphy equipment destined for the Boer forces are given in the accounts by Ploeger and Botha, Kennedy, Austin, and Rosenthal. 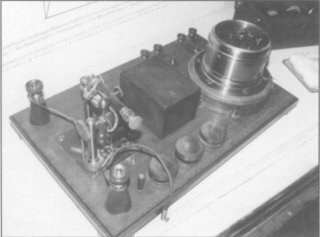 (37) The equipment was cannibalised by the British Forces for spare parts for the Marconi system being deployed in South Africa. The remaining Siemens equipment was sold off after the war by the Quartermaster General, and purchased by F G T Parsons. Rosenthal was able to talk to him and he confirmed demonstrating wireless telegraphy using this equipment. Eventually some of the equipment made its way to the War Museum in Bloemfontein, which has a restored Ruhmkorff coil transmitter, receiver and Morse inker. These are shown in Figures 9, 10 and 11. The South African Corps of Signals Museum has a restored receiver. Siemens Ltd in Johannesburg were subsequently compensated for the loss of the equipment ordered by them for the ZAR – another oddity from a traumatic period in South African history. Comprehensive details of the British use of wireless telegraphy during the war may be found in the reports of Austin and Fordred,(38) What follows is based on their reports, with a few additional references. At the outbreak of war, Marconi persuaded the British War Office that wireless telegraphy would be useful in ship-to-shore communications in order to regulate shipping traffic in Durban and Cape Town, where the steady flow of troopships was causing massive congestion and delays in the harbours. (39) Persuaded by this suggestion and the success of trials of Marconi’s system during the naval manoeuvres earlier in 1899, the War Office agreed to hire five wireless sets and operators on a six-month contract, with effect from 1 November 1899. The equipment was to be used to control shipping at the ports. By the time Marconi’s engineers, Bullocke (in charge), Dowsett, Elliott, Franklin, Lockyer and Taylor, arrived in Cape Town on 24 November 1899, they found that the original agreement had been changed and they were invited to volunteer for active service in the field. The men were prepared to do so, but the equipment, which had been designed and tested for shipboard use, had to be installed in wagons for use on land. This may well have been the first mobile wireless system! Captain I N C Kennedy, who had been present at Marconi’s early demonstrations and knew him, was appointed to assist Bullocke and his men. 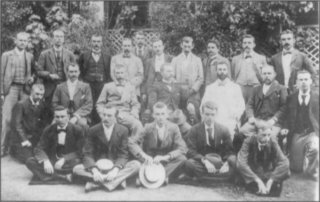 Figure 12 shows some of the men involved in this work. The battery power supplies and jelly accumulators were secured to the bottom of a wagon, along with the spark transmitter. The Morse key was to be operated at the back of the wagon to keep the operator away from the spark, which could be as long as 30 cm according to the detailed quotations of equipment referred to earlier. A successful demonstration of the equipment was held at the Castle in Cape Town in early December, and was described by Kennedy as a success. (40) At this time, Kennedy was also able to view the confiscated Siemens equipment. He was critical of the fact that the sets were not enclosed in metal, thus affecting their suitability for operational use, but nevertheless took the oscillators and Morse keys. The British equipment had no masts, as it was originally intended for shipboard use, and antennas could have been rigged easily. The steel masts which accompanied the Boer equipment were abandoned, presumably because there was insufficient time available for their evaluation. The British equipment was to be operated using bamboo masts. This decision was to be the root cause of problems experienced later. The equipment was to be deployed around De Aar, the railhead for the dispersal of the British forces. The wireless telegraphy sets were intended for communications between various British columns operating in the area. At this stage it became clear that the wagons used for the mobile installations were unsuitable for the task. The problem was resolved by transferring the equipment to better sprung Australian pattern wagons. 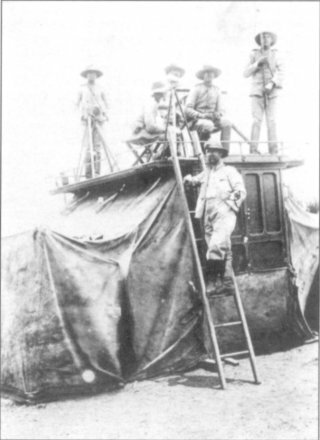 The bamboo poles soon began to split in the dry, arid conditions prevalent in the Karoo where Marconi’s engineers were deployed. 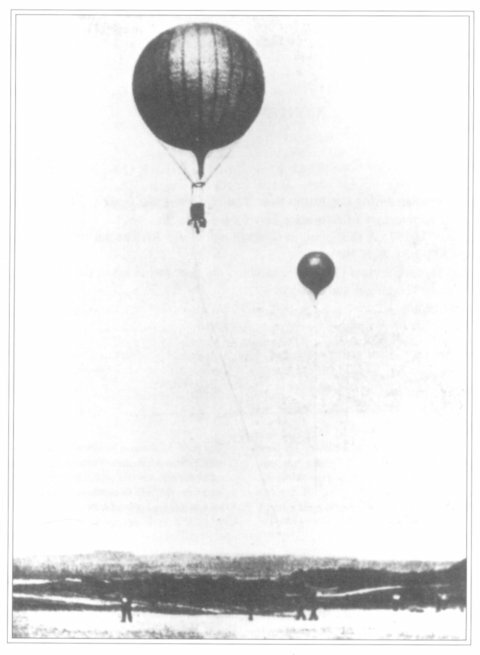 Kites and balloons, as shown in Figure 13 and the first illustration in this article, were used in an attempt to provide the spark transmitters with a suitable length antenna – the length being crucial for tuning the system. Three of the sets were sited at the towns of Orange River, Belmont and Modder River. An additional station was established at Enslin, some 27 km from Modder River, to provide advance warning of a possible Boer attack. Establishing communications between the various sites using poles or kites proved to be difficult. In addition, the high level of atmospherics from thunderstorms caused considerable interference at the receivers. By the end of December 1899, wireless contact had been established between Orange River and Modder River, a distance of some 80 km, via a manually operated relay station at Belmont. Owing to adverse weather conditions, the Marconi equipment remained unserviceable for three of the six weeks which were spent on evaluating the system in the field. Naturally, Marconi defended the system and his operators against criticism for failing to establish wireless communications. At a meeting of the Royal Institution on 2 February 1900, he made a fortuitous tactical blunder by criticizing the local military authorities for not making proper preparations. The light bamboo poles which had been selected for use had not been up to the task and had broken due to drying out. Taking umbrage at this criticism, the Director of Army Telegraphs instructed the sets in the field to be dismantled immediately. Two further sets, which had been sent to accompany General Buller’s forces in Natal, were also withdrawn from service. On a technical note Marconi had already stumbled on the crux of the problem. The weather experienced around De Aar differed markedly from that under which his trial had been pertormed. Suitably deployed antennas were crucial to the success ot the system and the local climate had played its part in the failure of the masts and of alternatives such as kites or balloons. The severe thunderstorms, which are a feature of the South African interior during summer were also a source of serious interference for the primitive receivers. (The receiver was, in effect, only a coherer, lacking any tuning other than the length of the antenna used.) Furthermore, the conductivity of the soil was poor and unsuccessful attempts were made to improve the effectiveness of the earth connection and thus the efficiency of both transmission and reception. As was to be expected, the ships proved to be ideal platforms for the equipment. Extended masts and the good conductivity of seawater greatly improved the performance of the telegraphy sets. The operational area and effectiveness of the ships could be drastically increased as they no longer needed to maintain sight of each other in order to exchange signals. Furthermore with the Magicienne in Delagoa Bay providing a relay to a telegraph landline speedy communication was possible between the ships at sea and the operational headquarters for the Navy in Simon’s Town, some 1 600 km away. A communications range of 85 km was obtained on 13 April 1900. There is also an unsubstantiated claim of a signal transmission over a distance of 460 km. By November 1900 the nature of the war in South Africa had changed. It had become a guerrilla war and the British had begun to apply a scorched earth policy. (42) There was no further need for wireless communications in the Navy. The significant point, however, is that between the successes achieved in wireless trials during the naval exercises in 1 899 and the undoubted success of the use of wireless under operational wartime conditions, the Navy was convinced of the viability of Marconi’s system. A decision was taken to equip 42 ships and eight shore stations around Britain with wireless telegraphy equipment by the end of 1900. Austin provides an interesting technical perspective on the problems experienced by the British Army with the use of Marconi’s system under operational conditions in South Africa. (43) By weighing the evidence provided by operations on land and at sea, it is reasonable to conclude that important factors which contributed towards the lack of success around De Aar included the problems associated with elevating the antennas to suitable heights and the failure of the masts; climatic conditions, including the frequency and severity of thunderstoims; and poor earth conductivity. The willingness of Marconi to supply the ZAR with wireless telegraphy equipment adds an interesting side-light to the story. (46) The British Army’s experiences with the operational use of wireless telegraphy equipment appears to be fairly typical of new and sophisticated equipment in the initial stages of deployment, even today. There can be little doubt, however, that the experience gained during the Anglo-Boer War served the Marconi company well in the further development and refinement of the equipment. The author gratefully acknowledges the many useful exchanges of ideas and information with (and constructive comments by) my friends and colleagues Dr Brian Austin of the University of Liverpool, and Mrs Lynn Fordred, Curator at the SA Corps of Signals Museum. They have greatly extended my own meagre knowledge of the facts and sequence of events in this fascinating history of the first use of wireless telegraphy under operational wartime conditions. The library staff at the State Archives were also most courteous and helpful in locating the original files on which much of the local history is based. Sincere thanks and appreciation are also due to the War Museum of the Boer Republics for permission to use photographs of the Siemens and Marconi equipment exhibited there. The author was allowed to inspect and handle the artifacts personally during a visit to the Museum in October of 1998. 1. B A Austin, ‘Wireless in the Boer War’, IEE International Conference: ‘100 Years of Radio’, 5-7 September 1995 (Savoy Place, London, IEE Conference Publication No 411), pp 44-50; D C Baker and B A Austin, ‘Wireless telegraphy circa 1899: The untold South African story’, IEEE Antennas and Propagation Magazine, Vol 37, No 6, December 1995, pp 48-58; L L Fordred, ‘Wireless in the Second Anglo Boer War 1899-1902’, Transactions of the SAIEE, Vol 88, No 3, 1997, pp 61-71. 2. J S Belrose, ‘Who invented Radio?’, Letter to the Editor, The Radio Science Bulletin, No 272, March 1995, pp 4-5. 3. R L Riemer, ‘About Tesla’s contribution to the invention of Radio’, The Radio Science Bulletin, No 272, March 1995, p 5. 4. Belrose, ‘Who invented Radio?’, pp 4-5. 5. R Barrett, ‘Popov versus Marconi: The centenary of Radio’, GEC Review, Vol 12, No 2, 1997, pp 107-112. 6. Austin, ‘Wireless in the Boer War’, pp 44-50. 7. B S Finn, Submarine Telegraphy: The Grand Victorian Technology (National Museum of History and Technology, Smithsonian Institute, 1973). 8. Fordred, ‘Wireless in the Second Anglo Boer War 1899-1902’ pp 61-71; N F B Nalder, The Royal Corps of Signals (Royal Signals Institution, 1958), p 11. 10. Fordred, ‘Wireless in the Second Anglo Boer War 1899-1902’, pp 61-71. 11. P Rowlands and J P Wilson, Oliver Lodge and the invention of Radio (PD Publications, 1994). 12. Austin, ‘Wireless in the Boer War’, pp 44-50. 13. ‘Telegraphie ohne draht’, Zeitschrift für Electrotechnik, Jahrgang XV, Heft XXII, 15 November 1897, pp 264-5. 14. E Rosenthal, You have been listening … The early history of Radio in South Africa (Published by the South African Broadcasting Corporation to mark the 50th anniversary of broadcasting in South Africa, 1974), pp 1-11. 15. Private communication with B A Austin. 16. Baker and Austin, ‘Wireless telegraphy circa 1899: The untold South African story’, pp 48-58. 17, Rosenthal, You have been listening … The early history of Radio in South Africa, pp 1-11. 18. Rosenthal, You have been listening … The early history of Radio in South Africa, pp 1-11. 19. Bakerand Austin, ‘Wireless telegraphy circa 1899: The untold South African story’, pp 48-58. 20. Fordred, ‘Wireless in the Second Anglo Boer War 1899-1902’, pp 61-71; South African Corps of Signals (SADF Documentation Services, Publication No 4, 1975), p 6. 21. J Ploeger, assisted by H J Botha, The Fortification of Pretoria: Fort Klapperkop – Yesterday and Today (Military Historical and Archival Services, Publication No 1, Government Printer, Pretoria, 1968). 22. File TLD No 1, State Archives, Pretoria, South Africa. Report by C K van Trotsenburg to L W J Leyds, State Secretary, ZAR, on telegraph communications between military camps and fortifications around Pretoria, 2 March 1898. 23. File TLD No 1, State Archives, Pretoria, South Africa. 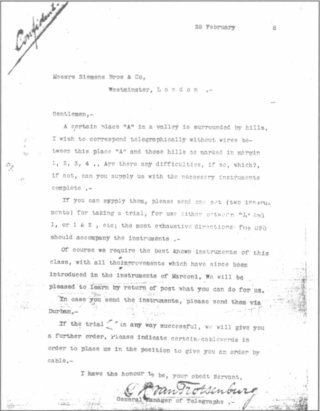 Letter from C K van Trotsenburg to Messrs Siemens Bros and Co in Westminster, London, UK, stating wireless telegraphy communications problem, 28 February 1898. 24. For example, ‘Telegraphic ohne draht’, pp 264-5. 25. Summaries in the State Archives are of articles in the Electrotechnische Zeitschrift (1897) and the Electrical Engineer (1897). An issue of The Electrical Review, 19 August 1898, includes an article describing Marconi’s demonstration between the Royal yacht Osborne and Osborne House over a period of ten days. 26. File TLD No 1, State Archives, Pretoria, South Africa. Reply from Siemens Bros and Co, Westminster, London to C K van Trotsenburg, dated 26 March 1898. 27. File TLD No 1, State Archives, Pretoria, South Africa. Letter from L W J Leyds, State Secretary of the ZAR, to C K van Trotsenburg, instructing him to proceed with the investigation of supplying wireless telegraphy equipment, 20 April 1898. 28. File TLD No 1, State Archives, Pretoria, South Africa: Letter from C K van Trotsenburg to Siemens and Halske AG, Berlin, requesting whether they could supply wireless telegraphy equipment, dated 23 April 1898; letter from Siemens and Halske, Berlin, to van Trotsenburg, advising him to expect a reply from their South African agents, dated 25 May 1898; letter from C K van Trotsenburg to Siemens Bros, London, requesting more details to their reply of 26 March 1898, dated 23 April 1898. 29. File TLD No 1, State Archives, Pretoria, South Africa: Letter from Societe Industrielle des Telephones, Paris, to C K van Trotsenburg, providing a detailed quote of the French equipment, 16 June 1898. 30. File TLD No 1, State Archives, Pretoria, South Africa. 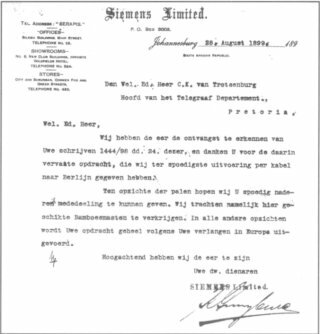 Reply from Siemens Bros, London, to van Trotsenburg’s inquiries dated 23 April 1898. 31. File TLD No 1, State Archives, Pretoria, South Africa. Reply from Siemens and Halske’s South African agents in Johannesburg (following the letter of 26 March 1898 from Siemens and Halske in Berlin to C K van Trotsenburg) to van Trotsenburg, 21 June 1898. 32. File TLD No 1, State Archives, Pretoria, South Africa. Letter from the Wireless Telegraphy and Signal Company Ltd, London, confirming discussions with van Trotsenburg on 30 June 1899 and their willingness to supply wireless telegraphy equipment to the ZAR, 1 July 1899. 33. File TLD No 1, State Archives, Pretoria, South Africa. Order placed by C K van Trotsenburg with Messrs Siemens Ltd, Johannesburg, for six wireless telegraphy sets, Document No 1444/98, 24 August 1899. 34. File TLD No 1, State Archives, Pretoria, South Africa. Acknowledgement by Siemens Ltd, Johannesburg, of C K van Trotsenburg’s order placed with them on 24 August 1899, dated 28 August 1899. 35. File NAB291035488, Source CSO, Vol No 2583, Ref C4481 1899, Natal Archives, Pietermaritzburg, South Africa. Letter from the Prime Minister of the Cape Colony to the Prime Minister of Natal, requesting Customs to seize wireless telegraphy equipment believed to be on board the Dunottar Castle, 3 November 1899. 36. J N C Kennedy, ‘Wireless Telegraphy – Marconi’s System’, extracts from the Proceedings of the Royal Engineers’ Committee, 1901, pp 155-9. 37. Ploeger and Botha, The Fortification of Pretoria: Fort Klapperkop – Yesterday and Today; Kennedy, ‘Wireless Telegraphy – Marconi’s System’, pp 155-9; Austin, ‘Wireless in the Boer War’, pp 44-50; Rosenthal, You have been listening The early history of Radio in South Africa, pp 1-11. 38. Austin, ‘Wireless in the Boer War’, pp 44-50; Fordred, ‘Wireless in the Second Anglo Boer War 1899-1902’, pp 61-71. 39. Document No 181, GEC Marconi Archives, Chelmsford, Essex, England. Memorandum Sent by the Marconi Company to the British War Office. 40. ‘Wireless Telegraphy – Marconi’s System’ REC Extracts, 1900, p 125. 41. A Hezlet, The Electron and Sea Power (Peter Davies, London, 1975). 42. E Lee, To the Bitter End: A photographic history of the Boer War 1899-1902 (Penguin, 1985), p 163. Memorandum released in Pretoria on 21 December 1900 by Lord Kitchener. Circular Memorandum No 29 from the Archives of the Military Government, Pretoria. 43. Austin, ‘Wireless in the Boer War’, pp 44-50. 44. Brig J H Pickard (compiler), ‘Col S F Pienaar’s Boer War Diary – Part 2’, Militaria, Vol 23, No 4, 1993, pp 1-15. 45. Ian Uys (ed), Military History’s Who’s who 1452-1992 (Fortress, 1992). 46. File TLD No 1, State Archives, Pretoria, South Africa. Letter from The Wireless Telegraphy and Signal Company Ltd. London, confirming discussions with C K van Trotsenburg on 30 June 1899 and their willingness to supply wireless telegraphy equipment to the ZAR, 1 July 1899.